Would you like to be able to enjoy your patio late into the season? Do you fancy spending more time outside and not have to retreat indoors because of rain? Go for a Verandair® patio cover! Verandair® patio covers are designed using the finest materials, to afford you unrivalled comfort and performance. 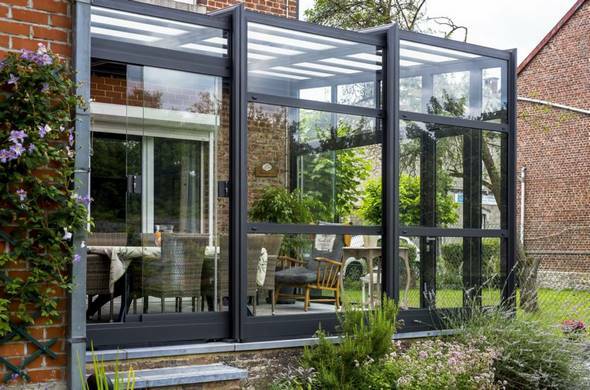 Depending on the amount of exposure the patio cover gets, your patio can warm up by between 6 and 8° C in sunny weather (without any special insulation), making it perfect for enjoying your garden all year long! Verandair® patio verandas and patio covers can be retracted. This means that you can open up your cover in full for sunbathing or reading without necessarily shifting around your garden lounge. Skies threatening? Looks like rain? Simply close the patio cover and everything under it (including you) will be sheltered and protected! At a time when many companies are revising their standards of quality downwards, Verandair® has taken the decision to do the opposite by improving the quality of materials used in patio and veranda covers. This enhances the reliability and service life of the covers even further. Verandair® aluminium patio covers are permanent structures mounted on foundations. So they enable you to enjoy additional living space throughout the year. 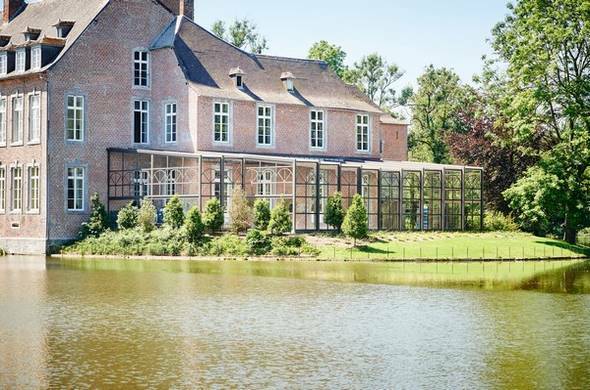 This is where you can spend long summer evenings, and even winter afternoons, thanks to an integrated heating system, for instance.